The tumble control valve is built into the intake manifold. The tumble control valve is composed of a position sensor and a DC motor. 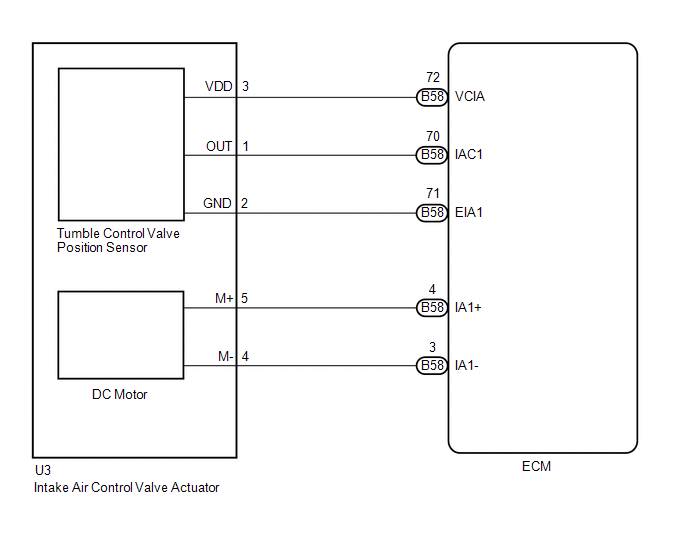 The DC motor opens and closes the tumble control valve in response to signals from the ECM. The position sensor detects the opening angle of the tumble control valve. When the tumble control valve is closed, the intake air tumble flow intensifies and negative pressure is generated between the tumble control valve and intake valve which atomizes the fuel. Combustion is enhanced and exhaust gas emissions are reduced at low temperatures. When the tumble control valve opening angle is 17 deg. or more after requesting the tumble control valve to fully close (2 trip detection logic). When the tumble control valve opening angle is less than 35 deg. after requesting the tumble control valve to fully open (2 trip detection logic). After confirming DTCs P2004 and/or P2006, use the Techstream to confirm the Intake Air Control Position while performing Control the IAC Duty Ratio of the Active Test. When the ECM has requested a tumble control valve close operation but the actual tumble control valve opening angle is 17 deg. or more for 10 seconds, DTC P2004 is output. When the ECM has requested a tumble control valve open operation but the actual tumble control valve opening angle is less than 35 deg. 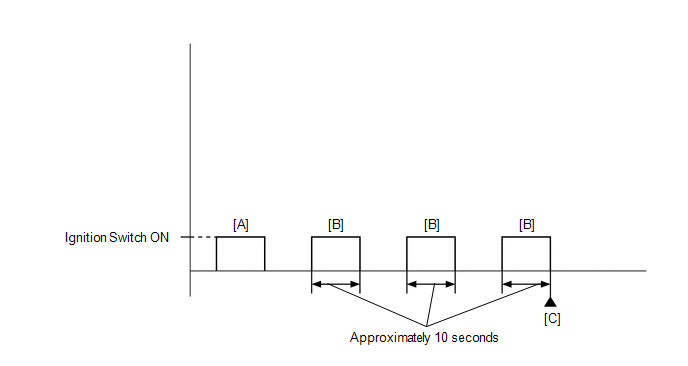 for 10 seconds, DTC P2006 is output. Check DTC P2004 at a coolant temperature of 30°C (86°F) or less. Check DTC P2006 at a coolant temperature of 80°C (176°F) or higher. Turn the ignition switch to ON, wait approximately 10 seconds, and then turn the ignition switch off. Repeat this procedure 3 times [B]. Input the DTC: P2004 or P2006. If any DTCs other than P2004 or P2006 are output, troubleshoot those DTCs first. (b) Disconnect the intake air control valve actuator connector. (g) Enter the following menus: Powertrain / Engine / Trouble Codes / Pending. (h) Read the pending DTCs.